Mindfulness is a choice that everyone has the opportunity to make – just like making the choice to “consciously pivot”. Mindfulness – or being present in the moment – is critical when you make decisions – especially those that will lead to expanding your life. Dawa Tarchin Phillips, Founder and CEO of Empowerment Holdings is an advocate of mindfulness in leadership. Mindful leadership requires being fully present to, and aware of, the decisions being made for his team. It’s a compelling leadership technique that helps to ensure the entire team is moving forward in the right direction. One powerful aspect of mindful leadership is that it allows him to shift his perception from judging to compassion. Further, Dawa explains why love is a practice that overcomes fears, preconceptions and prejudices and as such is a important component of leadership. Our guest is an amazing person and a gentle leader. Gentleness, especially among men, is a quality and a characteristic that you don’t see very often and is incredibly powerful. To me, when I encounter a gentle man, I aspire to be and I hope to be as gentle a person as can be, and that’s a work of my own. When I encounter somebody like that, I feel their trust in themselves. I feel their love for themselves. I feel leadership at a level that is different. I don’t feel overpowered by it. I don’t feel manipulated by it. I feel it’s authentic and something I respect and aspire to. This gentleman that I’m about to introduce you to is Dawa. This gentleman is the embodiment of what I’m talking about, and somebody that I love and respect and feel blessed to call my friend. I’m blessed to have him on the show. We’re starting with blessings and gratitude as we always do. 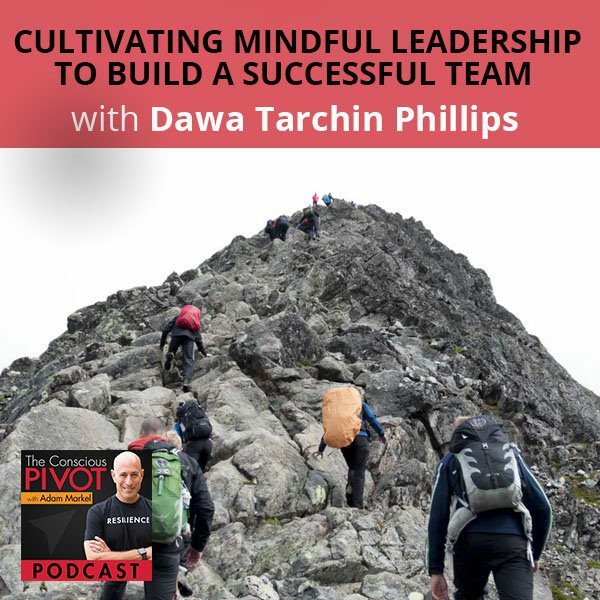 Dawa Tarchin Phillips is the Founder and CEO of Empowerment Holdings and the co-Founder of the Mindful Leadership Online Training Conference, the world’s largest online training conference for mindful leaders. He’s a mindfulness and meditation expert, author, entrepreneur, spiritual teacher, researcher and educator. 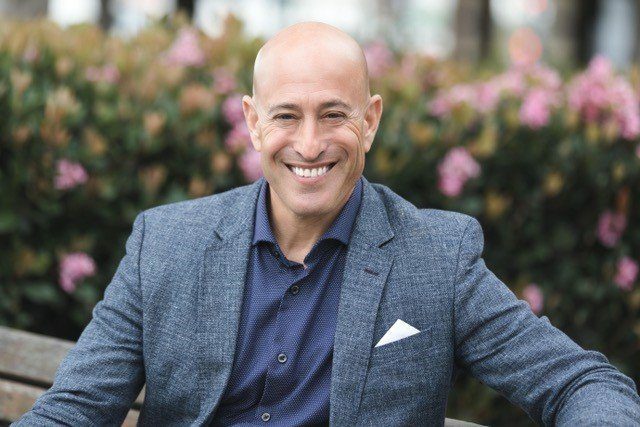 He is the acting President of the International Mindfulness Teachers Association, the world’s first global professional organization for mindfulness teaching of professionals, and the Founder of the Mindful Leadership Tribe, an online community of mindful leaders. Dawa completed two three-year meditation retreats and teaches mindfulness and meditation, and awakened business and mindful leadership around the world. He is a member of the prestigious Transformational Leadership Council and the Association of Transformational Leaders and a leading voice in the global mindfulness movement. His work has been featured in The New York Times, Huffington Post, Men’s Fitness, Forbes and Fast Company. He lives with his amazing family, his beautiful wife, in Santa Barbara California. It’s good to be here and spend some time together. I loved reading that bio and all the things that you are known for in the world. You’ve done so much in the world. It’s beautiful to catalogue it that way. What’s not in that bio that you would love for people to know about you in this role? A bio usually is like a highlight reel. It’s different things that I have contributed that make people get a great sense of my credentials and why I might be someone that they want to work with. What’s not in my bio are the beautiful friendships I’ve formed over my life and some of the insights that I’ve gained from my own personal practice. I’m someone that considers life a practice, that considers leadership a practice and certainly considers love a practice. A bio talks a lot about the big accomplishments and the states that one has obtained or one can identify with the accomplishments. It doesn’t talk so much about the day to day, the millions or tens of thousands of little steps and little decisions that someone has to do on a daily basis in order to feel that they are in a position of contributing at the level that they would like to in the world. Mindful Leadership: The more that we become conscious of the conditioning, the greater choice we have in life. Mindfulness is all about choice. That’s a really beautiful place to begin. Our lives and the things that we end up doing and “accomplishing” are the result of all these decisions that were made before that. Thousands of those micro movements, those micro thoughts, those decisions in a day even, the series of decisions, the dominoes that are tipping over into each other in the in the course of a single day is pretty profound. This would be related to this concept mindfulness which I’d love you to define in some way. Give us some working running definition for mindfulness. Do you track your decisions? Is mindfulness a way of being conscious of every decision that you make consciously and unconsciously during the course of the day? Is that even possible? I don’t think it’s possible to be aware of the decisions you make unconsciously, but the decisions you make consciously, you can be aware of and you can practice crunch. This is something that begins to expand in your life so that the amount of things that you’re conscious of begins to outweigh the things that you are not conscious of. We all have a certain amount of conditioning and cultural conditioning, familial conditioning, professional conditioning. A lot of that if it’s not conscious, it influences our decision-making and it influences the direction we take in our lives, oftentimes against our better judgment or against our true joy and fulfillment or against our higher purpose. The more that we become conscious of the conditioning, the greater choice we have in life. Mindfulness is all about choice. Cultivating mindfulness which basically means present moment awareness and attentional focus or the ability to direct your attention where you wish it to be. To have an ability to openly monitor your present moment experience that brings choice is what you call pivot, the ability to shift your attention from where it doesn’t yield anything practical or useful or insightful to where it can actually be of benefit, or to change the quality of your perception from one that is judgmental, critical, and contracted to one that is compassionate, kind, embracing, and cultivating a sense of empathy and connection. It’s not only that we can change the direction, we can also change the timbre or the texture of our attention. All of that becomes increasingly valuable in all the choices you have at your disposal and also directing your life. It’s all about directing your life. Leadership is all about directing your life. A lot of people become leaders without knowing where they’re going and end up leading people in circles. A lot of the leader’s work initially and also throughout the years is about continuing to clarify where it is actually going. “Where am I leading people to and why am I leading them there?”It’s one thing to talk about a promised land that then turns out to be the wasteland once everybody gets there. There is constant work on the side of the leader to keep checking whether or not things are still on track, whether or not where I’m going and why I’m going there is actually going to pay off for people in the long run. That’s one of the greatest responsibilities and challenges of leadership. At least it’s been my experience this idea that you are leading. You are the pied piper people are following you and you want that. You’ve stepped up to that responsibility. Yet at times you question as a leader, “Am I leading people into the promised land or to the wasteland,” as you put it. In our own growth sometimes we do circle a bit. We can circle around and cover the same ground during a period of incubation. We talk a lot about that in the pivot process these days that it’s an incubation. While you’re incubating as a leader, it could be that you’re like Moses in the desert and there’s a period of incubation or a harnessing of energy, taking stock of things, a building, a new consciousness, etc. In the meantime while you’re building a new consciousness, you’re living in the desert for 40 years, wandering about. That just came up from whence that awareness just showed up, but it was triggered by what you just said. That’s part of the work that we do internally that then radiates out. Those are the things people don’t see. I’m so appreciative. When I see some of my friends and the things they have manifested in the world which are beautiful projects or beautiful companies or books or films they’ve made or whatever it is that they’ve contributed, I’m oftentimes appreciative of what that means in terms of inner discipline, the things that they had to practice in order to get there. Not so much just the results but who they’ve become in the process. The beautiful thing about those things is that those are the things that are always with you. Even if what you contribute in the world doesn’t get the recognition it deserves, you still have become the person that you are as you hone your craft and as you completed certain things. I am fascinated by that process of practice. I consider myself a practitioner always first. I always take my own medicine before I offer it to anybody else. That has also been very beneficial to myself over the years. To openly monitor your present moment experience that brings choice is what you call pivot. You said love is a practice. Would you like to say any more about that or does that suffice? What I mean with that is we’re always up against resistance. We have experienced pressure and we experienced resistance. We experienced both the push from behind and the carriage from the front but we also experienced resistance and growing out of our comfort zone and expanding as human beings, expanding as people. There’s choices that we have to make whether we take the resistance and the comfort as more valuable than the expansion and the love that comes as a result of that expansion. It’s a practice is that we have to overcome fears, we have to overcome comfort, we have to overcome complacency, we have to overcome attachments to ourselves and to our preconceptions and our prejudices. That is a practice that never stops and it requires commitment. It inquires a decision that who I will become in that process and my capacity to love and serve that I wish to develop is more important to me than the comfort or the fears or the resistances or the pressure. I’m okay with those things. I’m happy to embrace those things on my journey to love. It’s something that’s very organic. A lot of people experience that when they have children or when they care about a project more than about their own comfort, whether that’s for the first time or whether that’s something that they’ve discovered over time. This ability to fall in love and then to serve that love, to nurture that love against the discomforts and the resistances that we have, that is a practice and it creates beautiful people. It’s a practice that brings forth beautiful people and I rejoice in those people. I can see it when I see a mother or a father. I can see it when I see a teacher who gets up every morning and goes to a public high school where he faces the distraction or she faces the disrespect. She does it every day because she loves to serve. She loves to teach. I see it in many of our service sectors where people practice a form of sacrifice because they love who they serve. You’re a practitioner of a number of things including love. Do you have a specific practice for love? One of my core practices is intention. I am one of the firm believers that intention arise before you do. When you walk into a room to meet people, they’re going to tune into your intentions in less than a second. What you can do if you wish to do good in the world is to take care of cultivating your intention before you open your mouth, before you spring into action, before you enter a room, so that people can actually experience then you are on their side. That is a very intuitive sense that people pick up very quickly before you even say anything. That’s a practice that I cultivate. I more and more profoundly question who am I because I don’t get to present myself verbally or in any other way before people just encounter my presence. I would say if I have a practice, it’s doing the genuine work of intentionality and making sure that my intention is about people and about service, and about caring, and about being integrity. It may well be true that our presence precedes us. Beautiful Emerson quote on that, “Who you are speak so loudly, I can’t hear the words you’re saying.”What I heard you say was that intention is a part of your practice. The core part of mindfulness. One of the things I’ve had the pleasure of bringing a lot of people on stages over the years the last seven or eight years is through training and running a company. We had a bunch of workshops and some of them were quite large. I used to emcee a number of those workshops and I would bring other speakers on to teach certain things. To this day whether I’m working in smaller workshops with people who want to be speakers or trainers. We just did want our house where everybody, twelve people, delivered a legacy talk that we filmed and all those things. It was very high stakes talk and with each of those individuals just like workshops or large events have done in the past. It didn’t matter who it was. Tony Robbins is the only person that I never got to do this with because the way his pre-game is setup, I wasn’t going to get him right before he came on stage. Mindful Leadership: The ability to fall in love and to serve and nurture is a practice that creates beautiful people. Pretty much everybody else, I would always look at them, hold their hands, look in their eyes and ask them this one question which was, “What is your intention?”It’s so reminiscent of what you said because your intention precedes you. It’s a part of your presence. Your intention is to open heart, to have people feel your love or feel peace from your prayer, from your being, or whatever it is. It could be my intention is to activate people. I want them to be vibrating with actions so that they’re able to move forward, break free, whatever that is. That intention going into whatever it is, it’s a conversation. It’s a meeting with a partner or a meeting with a stranger. It’s a conversation with your children or with your spouse. It is a pretty profound practice to have that intention set ahead of the conversation in the physical meeting. I remember a friend of mine who was a musician and composer who scores films. I remember when he was young, he came back. He attended a concert by Prince and he said he was so taken aback by the fact that Prince, in a positive way, for the hour before his concert, had played Keith Jarrett music very loudly over the speakers. He had created this entire field of resonance of how people were feeling and how receptive they were, how open they were, how relaxed they were. All of that, long before he ever came into the arena to perform. I see it in the way that my wife prepares for having guests over. It’s not only present in public life or the way that we present. It’s also present in the little things, the everyday things, and people feel it. When people walk into a room and someone has given thoughts prior to their arrival that honors them, that took care to prepare, people feel it. They feel good. That’s something that all of us can do even when we have a difficult conversation. It’s not that we always walk into a room of friends, sometimes we walk into a room of people with whom we have controversy or conflict, but what is our intention. I remember some very difficult negotiations seven-figure type negotiations in our business at a certain point with different people we were thinking about working with and wanting to work with. Being at an impasse and applying this intentionality, maybe we could call it the law of intention, at the beginning of this meeting where this group of folks, business people, had flown into San Diego to meet us at our office to deal with this impasse and see whether or not we were going to come out the other side still wanting to be partnered, I’d asked everybody as a part of creating a context for our gathering that we’d all set forth an intention. I would model it and say my intention first. Because I knew these folks all love sushi, they enjoyed good eating and love Japanese food, I said, “Here’s my intention. My intention is that when we’re done, it may be quite late at night. It’ll be dark. Certainly before the restaurants close, we’re going to be sitting in this amazing sushi restaurant that’s up in Carlsbad. I love that. Great dish, great diet, incredible belly tuna. We’re going to be in that restaurant eating wonderful meals, celebrating the success of today’s meeting and what we were able to accomplish to be in partnership for the long term.” It went around and there were maybe seven or eight of us at this table, and everybody was energetically charged when they walked in almost like poised for battle type of thing. As soon as we went around the table, the intentions all mirrored in some way reflected that is positive outcome and this energy of collaboration and team and felt loving in the room. We had difficult moments, moments we had to walk out of the room and caucus separately and privately. There were all these moments during the day we thought things would fall apart. That night, we were in that sushi restaurant celebrating the success of that day and eating ourselves into a food coma. It’s just one of the tools at people’s disposal but one that few teachers have written about and one that few people really conscious use of as of now, hopefully more so in the future. I want to tie if we can tie mindfulness to making better choices. I forget who introduced this concept to me. It might have been Deepak years ago. It might have been in one of his books like The Seven Spiritual Laws of Success. The ability to make spontaneous right decisions is something that I have aspired to for quite a while. Reading things like the Chapter 30 in A Course in Miracles which is about the new beginning, that we’re making decisions all the time consciously or unconsciously, how it is that we make those decisions with fear or we make them with love. We make them at all times with an adviser. It takes two so it’s always us and our counselor that makes a decision before it can have any effect. To be able to make spontaneous right decisions, to make better decisions, we have better options and choices in life. We can lead people from that place of trust in ourselves that we know how to make decisions on the path of life that don’t lead us in circles or keep us in the desert too long. Can you tie the mindfulness peace and how you define mindfulness to this idea of making better decisions? Spontaneity with good outcomes is the result of practice. There is spontaneity obviously that even children and teenagers have, but sometimes that brings good results and sometimes it wreaks havoc. Sometimes the spontaneity is just in service of a craving or just the desire of the moment that leaves or that disregards the impact on others. What we’re talking about is the spontaneity that has matured to a place where we know that we can be spontaneous because when we act spontaneously, we can trust our intentions. What I have found in my own life is that the more confident we are in our intention, the more spontaneous we allow ourselves to be in situations because we can trust ourselves. We know that we’re not someone that is going to screw others over on the spur of the moment. We’re not someone that is going to suddenly fall into a fit of rage and verbally or physically assault anyone. Spontaneity with good outcome is the result of practice. You begin to notice maybe there’s a stain there, maybe there’s something in need of repair. Because you are present, you begin to develop distinctions. Your awareness is beginning to pervade the environment and begin to see more clearly what all that is there. Mindfulness is their process, so whenever you bring mindfulness to a situation, you begin to see more of what is already there. You begin to become aware of so many nuances, so many other aspects that make up a situation. When you have that additional information, number one, you can have a deeper sense of fulfillment. You’re so much more aware of all the beauty that’s around you and all the love and care that went into what it is that you’re getting to experience. From the food on your table, the way that you travel, the work that goes into the craftsmanship that the mechanics have to have so that the plane can leave on time, it’s just everywhere. It doesn’t matter where we are. The care and the love and the focus and the commitment is all around us. A deeper sense of mindfulness opens that up for you. You begin to see it and you begin to feel more valued and supported by everything that’s around you. The deeper sense of mindfulness also lets you see more about yourself. It lets you see where you’re fooling yourself. It lets you see where you are in denial, and lets you see where you are committing self-sabotage. It lets you see where you are holding yourself back to self-judgment or fear of failure. Then you can correct or you can release something and you can begin to slowly free yourself from limiting mental, emotional and physical behaviors. That also deepens a sense of trust, when you know that what you become aware of is on the way out. When you know that if you become aware of a stupid habit or a limiting habit, because you become aware of it, you can release it. You lose your fear of learning about your own mistakes and you lose your fear of seeing your own shortcomings. It is such a healthy thing to become aware of your mistakes and of your shortcomings, because now you have the opportunity to outgrow them, and that as well bring spontaneity. Part of why people like spontaneity is because they’re very afraid of the consequences or they’re afraid of failure or they’re afraid of looking stupid or they’re afraid of being silly or how they are perceived. All of that is because there is no clear practice or no clear process that they have access to that will let them know that whatever happens, I can bring that onto the path. If I stumble, it is not the end of the world. It’s the beginning of a new fork in my life. I’m going to learn something. I will be able to pick myself back up. I’ll be able to integrate my new understanding. I’ll be able to go from there. Spontaneity is rooted in trust in one’s ability to respond, trust in one’s ability to learn from a situation and trust in one’s ability to recover from challenges and trust in one’s ability to not cause harm. That is really about a maturation of intention, distrust in one’s ability to not cause harm. Is trust rooted in mindfulness or is mindfulness rooted in trust? When you look at the scientific research and literature, then there’s a very strong correlation between mindfulness and trust. For example, when you have a school and faculty and you teach them mindfulness, then the trust between the faculty members goes up. Also when you do trust exercises, then the mindfulness in that community goes up which means that they are correlated. You can influence mindfulness by how trusting people are. When they are trusting, they prefer to be present. Whereas when we don’t feel safe, then we were scattered. When we don’t feel safe, we don’t feel where we need to be. We don’t feel we can relax. We don’t feel we can connect. We’re looking for a way out of the situation. We’re not at ease where we are. Mindfulness literally is reduced. We become scared our mind gets scatterbrained because of our lack of safety and our lack of trust. There is a correlation and the science shows it. Mindful Leadership: Whenever you bring mindfulness to a situation, you begin to see more of what is already there. It’s a reciprocal relationship, it feels like that. They’re cross pollinating each other. If somebody says, “I really would love to trust myself more,” mindfulness practice would help them to receive as a benefit of it, outgrow some of their limiting behaviors through mindfulness practice. They would gain some greater trust of themselves if they were to be in a position where they were mindful. Because that was a practice that they had started or that was just a part of their rituals as a consequence of mindfulness, they might also gain greater trust without intending it specifically. Others might gain greater trust in them or they might gain greater trust in others as a collateral benefit of that. Leaders go first. This is an courageous moment to go first. Particularly with trust, it’s a courageous moment to trust first. You’d started to talk earlier about pivot and the idea that this is a pivot, it’s quantitative as well as qualitative. This pivot that comes from mindfulness and being able to access more perception a greater palette, color palette that gives you new options and new choices. Can you just share a little bit about either some area of your life previously where that pivot showed up where it was a moment of pivot? In the alternative, in this moment where we’re at now, where you are now, what’s the next pivot look like to you? There are two big pivots I’ve made in my life. In my early twenties, I pivoted and I decided to put my spiritual life first. I had five questions when I was a child that were really important to me and that nobody knew the answers to. A lot of children have those. A lot of adults don’t have any answers. That was who am I, where am I from, why am I here, where am I going, and why is that even important? Like most of us, I grew up around adults that said, “Don’t ask these questions, just get with the program.” I decided in my early twenties that these questions were more important to me than getting with the program. I put spirituality for about a good seventeen years. I put those questions in the center of my life. I said I wish to find answers to these questions before I am old and decrepit and then say, “Now that my life’s at the end, let me try to address the most important questions.”That’s what happens for a lot of people. They get so busy and swept up in things that the core questions that drive them, they somehow just never get to spend any time with those questions. I was fortunate enough to make a pivot at that time. If we’re not in a state of trust, we’re contracted. I spent twelve years at the Buddhist monk, seven of those years in meditation retreat. It was some of the best learning and growing that I’ve ever done. I found the answers to the questions I had and it put me on a very different track in life. Once I came out of that experience, I was asked to now be a global teacher, to travel, to speak, to run a center, to guide others. In that process of dedicating myself to that work, I realized more and more that in order to do that really well, I need to walk in people’s shoes. I need to be in the trenches. I need to be relatable. That led to a decision to leave the monastic life, start a company, get married and live a family life. To live these principles in everyday life in a modern society and explore and model and discuss and share with others of what it can actually look like to live an awakened life in a modern world, in a modern time. Under game conditions where the stakes are high, and like Joel says, “The moment is brief.” Game time. That was another big pivot and at the same time, it has only deepened my practice. I have to say that it has allowed me to really put the principles to the test. There is one thing for something to make sense on the meditation cushion. There’s a whole another thing for something to make sense when you are speaking with hundreds of people in a fast paced modern enterprise. When you are sitting in a high stakes conversation with the people you love the most and the emotions run high, there’s a lot of vulnerability and sensibilities at stake. That’s a beautiful thing. If it’s something authentic, it can take the heat. I would love to know what’s a ritual or practice that you have. This is the conscious pivot, not habit but the practices that you’ve cultivated that we maybe even call rituals. Is there something you do daily that keeps you on the path in a way that you feel is where you making progress each day? I speak out loud what I want to create and what I want to see in the world. I don’t just think about it. I speak it out loud. I can tell how comfortable I am with an idea or a project or a change in my life by the resistance I have to speaking it out loud. That is a ritual that I have that helps me know whether I have any incongruence with something that I say, wish to do, or wish to create. Also, it helps me open up and connect to the resources that I need in order to bring forth an idea or an intention in a tangible way. That is an incredibly tangible piece of advice. That is an incredible practice I feel. This idea that is a litmus test to speak something out loud that you wish to see happen. Your intentions aren’t just in the mind and what a beautiful interplay of the heart and the head and an inner and outer, because you’re a mindfulness expert and facilitator. What you just expressed was not a meditation practice or mindfulness practice. This was speaking into existence that which you wish to manifest to practice. Going on the record, there’s a difference between John F. Kennedy thinking about putting a man on the moon and publicly announcing that he was going to put a man on the boat. Whether or not you are the first person that say it out loud when others are present, saying something out loud is a different level of reality than just thinking about. It’s a fine distinction, not trying to put form before substance. It’s essential the difference between affirmations and declarations. What you’re talking about is declaring when John F. Kennedy declared out loud to the on looking world that we would put a man on the moon. That was a declaration. That wasn’t affirming something that he believed or that was something he wanted to believe. This was a declarative statement of fact ahead of time. Mindful Leadership: Saying something out loud is a different level of reality than just thinking about. I’m a student of history, but I’m also passionate about the United States not that it doesn’t have its flaws but it also has some really marvelous attempt to create governance that serves people. One of the things that I admire about the Declaration of Independence is that it is a declaration of a reality that before had not existed. In declaring that people put their lives at risk and the day after it was signed, the individuals who signed it were declared traitors and sentenced to death. There is something symbolic about us moving into a new reality committing ourselves to that reality and knowing that the old me is going to have to let go. That is the power of a declaration. When I signed my name to a new world, I know that in that moment I released that old world. I no longer belong to that old world and the old world might resist, resent, revolt against this act of declaration. If it is for greater freedom and if it is for greater truth, then in the end that old world will have to come around and accept that this is a new world. I am committed and I have committed and whether you like it or not, I am not going back into slavery and into servitude. In that way, every declaration is a small declaration to greater independence if practiced on this path that we are on, the path of transformation and some form of awakening. That declarative statement is putting the old world on notice. We’re putting the old world on notice. Things are about to change. Things have changed. We put the old world on notice that things have changed and there is no turning back. Don’t be surprised as you say if the old world order doesn’t reject, revolt, resent that change, because this is the essence of pivot. That change is not always met with open arms. What do we do with it when we do receive that. We feel that resistance or that revolt inside of ourselves or from others around us. That’s an essential moment of truth for us, isn’t it? We see that in our society at the moment a lot. There are many different groups of people that are making their own declarations. We were saying, “We are not going to go back to old models, old systems, old way of thinking, old way of organizing.”We’re living through a phase where there is a lot of change, a lot of transformation. It’s not that they haven’t been there before, but the resolve is growing. There’s always been many but there are many voices of people that have yet to see their full place at the table, whether that is women getting equal pay or minorities being involved in self-governance. There are many ways in which our society is growing towards. Even though the conflicts are more evident than ever, we’re on our way to a deeper understanding of one another and a deeper respect for one another. Maybe that will be the result of a lot of these efforts that are being made. It’s encouraging because people finally have the courage to speak out and to declare things. They have the public square because of technology, because of the internet, because of access to media and so on. Individuals have a voice to change the course of things in the way that they’ve never had that before. It’s an interesting time to be alive and to actually observe how these principles are being activated. I don’t want to get into a conversation on politics or religion, but these are interesting things that we are all living through at the moment together. Every one of us regardless of whatever the political leanings that we have or any of the other issues that we may feel differently about as many people do. We’re all leaning we’re craving more freedom more independence. It’s the Declaration of Independence. It’s a declaration of freedom. Was craving dignity and respect, and I think that’s also important. We all have a profound opportunity in this moment to not only declare our freedom but to exercise our voice, our ability to vocalize what it is that we want by declaring it, intending it and then declaring it. As you say not just sitting in meditation or mindfulness state, but to take that awareness and that heightened perception and understanding and vocalize it and turn it into declarative statement. That is a powerful combination. Thank you so much, Dawa, for all of your thoughts. What you declared in this last hour with all of us, so thank you so much. Individuals have a voice to change the course of things. It’s my pleasure to be with you. You’re a real change maker so it’s great to be on your show here and to meet more of your people, your tribe. I’m looking forward our tribe finding out a lot more about you. Also, you have a very interesting thing that’s coming up. I’ve been reading a book called Around the Year with Emmet Fox for many years. The book is held together by love primarily and some tape. You are doing a different type of an around-the-globe experience that you’re just about ready to take off on in another couple of months. Would you just take a minute and share what that experience is about? We’re doing a pilgrimage. A pilgrimage is a sacred journey where you are traveling with an intention to transform and reshape your life. This particular pilgrimage is a pilgrimage around the world for 30 days. We’re going to visit seventeen sacred sites in five countries on four continents and we are tracing the history of humanity as well as the individual journey. You can say spiritual awakening and personal transformation. The pilgrimage is called the Awakened World Global Pilgrimage and people can learn more at the website Awakened World Pilgrimage. It’s the first time this has ever been done. There’s never been a public pilgrimage around the planet that honors the sacredness of humanity, not just of one culture, one tradition, one geography, but of humanity and our relationship with the planet. The intention behind it is to begin to awaken more leaders on a global scale, leaders who connect to a unified consciousness and who are able to begin to solve problems from that unified consciousness. Many people have heard the Einstein quotes, “You can’t solve the problems that you have from the same level of consciousness that created them.” Right now as humanity, we’re facing a myriad number of problems that were made from a competitive separationists or separatist and discriminatory mindset. We’re struggling to solve these problems on a global scale. This journey is a journey to help people awaken to a unified global consciousness. From there, they can participate in solving some of the challenges in the world but also experience a greater sense of personal empowerment, personal happiness, personal health, personal integration that comes from actually embodying that type of awakening in their own lives. Mindful Leadership: You can’t solve the problems that you have from the same level of consciousness that created them. It has been a wonderful blessing today to spend time together. I always enjoy your company and now we get to share the warmth of our relationship with a larger community which is what we did maybe a week or two ago and I was a guest on your show. What a wonderful thing that is. It’s so important that the healthy relationships are modeled that we get to model those for as many people as we’re able to. I feel so grateful and lucky and privileged to be in front of this microphone to be able to share with you some of the incredible wisdom of my dear friend, Dawa as well as my opportunity to sit at the mic and say some things as well that are on my heart. I wish, hope, pray and intend that everyone tomorrow wakes up just like we got to wake up today. What a blessing it is and what a powerful intention that we will wake up tomorrow, wake up physically of course mentally, emotionally and even spiritually be a bit more conscious tomorrow than we are today. If that’s the case, we’ve had a good day. We’ve had a day that is changing the trajectory of not only our own personal lives, but the lives of so many other people on our planet. Certainly, as you wake up tomorrow morning, taking that first deep conscious breath, be aware in that moment there are people who will be taking their last breaths in that moment. There will also be babies born fortunately, who will be taking their first breath of life in the world and so that moment is very holy, very sacred and deserves reverence. In that moment, you are aware that you are breathing and awake, alive, be grateful. If you feel it, if it’s calling to you that you say these words. This is declaration. It’s declaration of everything that Dawa talked about, the declaration of independence, the declaration of love not war. It’s a declaration of freedom. We get to make this declaration ourselves if we choose to. My declaration is I love my life. It has been a profound pleasure to spend this time with all of you. We will come together again soon. Ciao for now everybody.